We know that Apple is one of the best running mobile platforms all around the globe. Also, 2018 is a year that shows that every business has its app as researchers have found that there are thousands of apps for purchase that have download through user-friendliness and stability. People prefer iPhone application development as it gives hassle-Develop solutions and solves prevailing IT problems. Make the best decision to go for iOS app developers that help the sales team to increase ROI and give a dynamic experience to the users. Apple phones are becoming very popular since the day it was launched on the market. There was a buzz among the people that what new features will Apple be adding in the latest version. As more and more brand is releasing, iPhone is on its go with launching a new version every year. In today’s time, iOS app developers are in tremendous demand due to leverage of enormous population. At times Apple impresses an audience by giving amazing features and functionalities in the apps. Why hiring an iOS app developer is essential for your Company? Nowadays, it becomes essential to hire app developer who is experienced and professional with giving best results at the end. To get a better ROI, every business wants to stand out from the crowd. So hire iPhone developer that offer higher quality development and possess knowledge of Swift language. Any technical expertise would use its sharp skills and will deliver the quality app within the required deadline. iOS expert would build strategies throughout the market by minimizing the errors and without compromising on the quality. There are lots of developing companies that will offer an agile approach which helps to optimize the development and testing cycle. 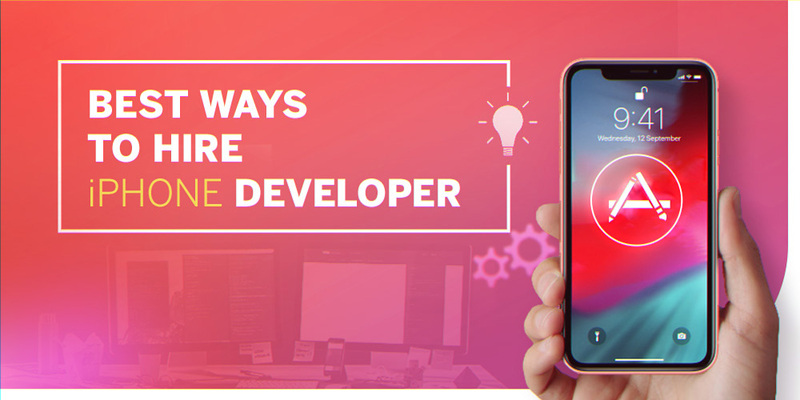 To hire iPhone app developer in India, one needs to have a clear vision and should know whether they want to work by doing freelancing or within your company. One should have an explicit understanding of the qualification of an iOS App Developer and should focus on his skill & experience. People, make sure that your hire dedicated iOS developer is limited to just coding part. There is much more than just the app coding. Hire app programmer that can do better with coding, understand design, utility and also testing part of any application. Before hire iPhone developer in India ensure that he/she maintains the experience of iOS framework and other technologies. Research on that person and ask him technical queries or else make him speak to an iPhone developer before you hire.